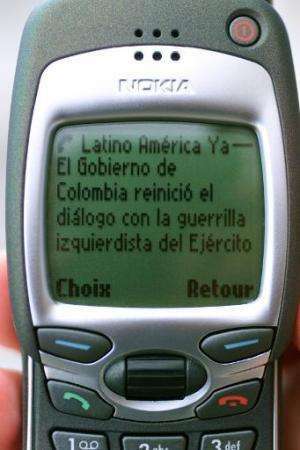 A photo dated 17 February 2000 of a Nokia moble phone which is able to access Internet. There is "a great sensation of finding an object that we knew during another era—a little like paying for vintage sneakers that we couldn't afford when we were teenagers," Douani told AFP. 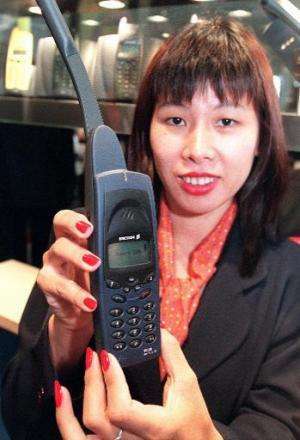 A Motorola StarTac 130—a model launched in 1998—and repainted bright orange was recently offered for 180 euros, while an Ericsson A2628 with gold coloured keys for 80 euros. I KIND of really like some things about them - because they can do almost everything - within the limits of processing power, time and battery life. Can you stick it in your back pocket? Use it in the shower? How well does it work for reading a novel? Or watching a movie? 3D movie? Nothing need be said about battery life. Smart phones are ephemeral. In the not too distant future, the things they accomplish poorly today will be done in ways we're barely conceiving. I never went for those idiotic 'smartfone's that often do not have the ready ability to make simple fone calls. And I absolutely despise those 'spell checkers' with low vocabulary. 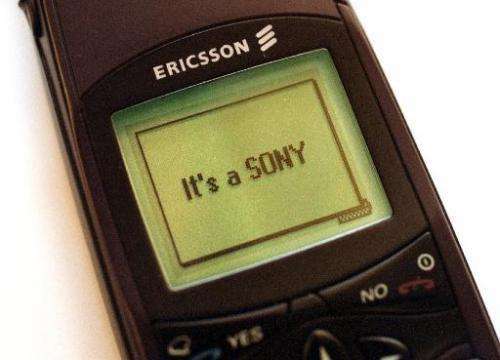 One of those bastargs just told me that 'fone' was 'spelled wrong'. Well there are a couple of other mis...spellings here that say what computerized word censors would rather clip. T'will be a supremely evil day when the computerized blue noses can sniff out all the literary imaginability of man. Now see 'imaginability' is a prime example of a low intelligence spell checker..never catchit. Exactly. Why have a smart"fone" when you could get an old Nokia and carry around an Oxford Concise Dictionary in your back pocket and never have an excuse for misspelled words again. Ever! There are a limited number of things a smartphone would be useful for. I could IMAGINE the GPS ability as helpful in some situations. But honestly: I have never had a situation when I longed for a smartphone over the simple cellphone I've been using. It phones. It texts. It tells the time. It works as an alarm clock in a pinch. It can take pictures in an emergency. It's tiny. There's nothing else I really want (or need) while I'm on the go. Email/news/social media can wait till I get home. Anyone desperate to contact me immediately can ring or text. Agreed. Though the Maps/GPS functionality is quite good when it works properly. Very handy. As are some other apps such as converting units, avalanche/weather reports and calender which I use frequently. Other times I'd like to throw the damn thing in the lake. I like the spell check function as I have fairly big fingers and typically make a lot of spelling mistakes for that reason alone as the buttons are quite small. The system generates a few possible correct words which I can easily select instead of re-typing and often re-re-typing words. I will add that my old iphone3 fell out of my pocket over a hundred feet down while I was rappelling down a frozen waterfall and although the screen was totally shattered it still worked. And that's after it fell in the lake! Good work Apple!